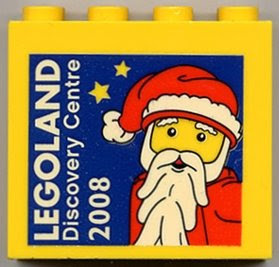 With this 2008 LEGOLAND Discovery Centre, commemorative brick, the TBs team wishes to all LEGO fans and their families, a Merry Christmas and Happy New 2009! Also another successful year for TLG, plenty of new products and ideas. Merry Christmas and a Hapy New Year for everyone, and may the best of 2008 be the worst of 2009!